No plan survives contact with the enemy. 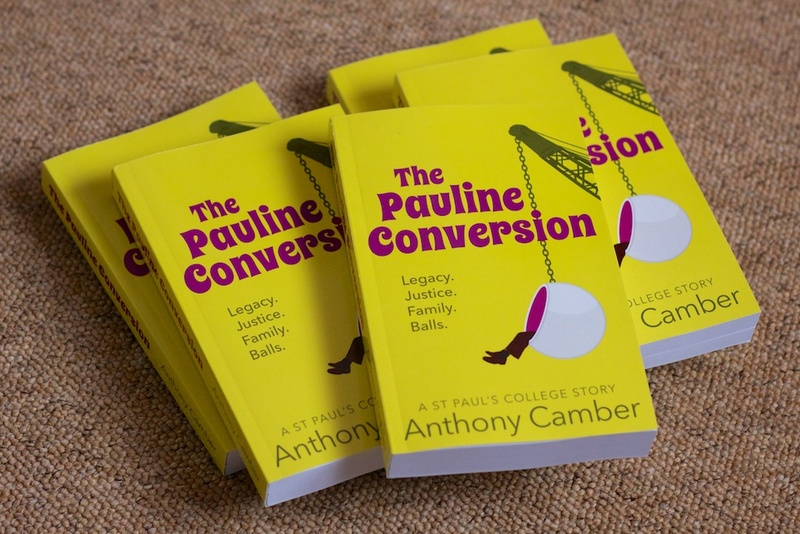 As I wrote in my last blog about researching The Pauline Conversion, as you dig around in the archives you have to be prepared to unearth something that stops your neat idea in its tracks. If you’re unlucky it sends you reversing back to the start line. If you’re lucky it diverts you onto a shinier, more interesting path. The Pauline Conversion is very much an example of the latter. The journey to The Pauline Conversion started over a year ago after Russia passed an anti-gay law just months before hosting the Olympic Winter Games in Sochi. You might remember the fuss, which resulted ultimately in mass hand-wringing and general inaction. This law angered me, naturally. It was a hugely retrograde step for the country, and the global community fluffed its response. It set me thinking. Could I write a book satirising this situation in some way? It felt a natural fit for St Paul’s College in an earlier, less equal time than the contemporary Britain of The Pink and the Grey. I’d also been itching to write a story about a younger version of Dennis. One calculation later, I settled on 1972 as a first approximation. In those days the summer and winter games occurred in the same year. Munich, in the summer, suffered from terrorism: not a great backdrop for a St Paul’s story. Sapporo’s winter games were a better fit, mirroring Sochi in 2014. That took me back to February 1972, when the Sapporo games took place. I noodled with the idea of St Paul’s or the university staging its own games, but nothing grabbed me – and it wouldn’t be Dennis’s thing at all, unless there was a gold medal in tea preparation. In search of inspiration I looked into that time in more detail: what was going on, globally and locally? A lot of change. A lot of unrest. Change is constant, of course, and someone’s always up in arms about something. But Cambridge was experiencing a greater turbulence than usual. Miners were on strike across the country, and the energy shortage was about to bring power cuts and disruption. Students took part in a sit-in at a university building, arguing for a greater say in university affairs and changes to exams. Not far from St Paul’s a large rectangle of old Cambridge was being demolished and redeveloped: a multi-storey car park, a modern shopping centre. All this on the back of the great social changes of the 1960s. For gay men the decade brought, eventually, decriminalisation – though there’s a difference between legal and socially acceptable. Even five years after decriminalisation, attitudes towards LGBT people (not that this term was in use) had barely shifted from much darker, more violent times, even in a semi-enlightened Cambridge that would have tolerated St Paul’s for a couple of centuries. And discrimination was rife not just against gay people. Women were poorly treated (they still are, of course), and beginning to fight back: stereotypically, burning bras in the cause of women’s liberation. In Dennis I saw a man who would be uneasy and suspicious of too much change too rapidly. But he would also be a moderniser, understanding the worst way to manage change is to build a dam and hide beneath it. He would also be a man of multifarious routines, as we all are, with that nagging middle-aged sense of a life slipping away unfulfilled. Change, then: a rich seam to mine, at many levels. Environmental, social, personal, with Dennis at the core pushing and coping and not coping and blundering. Inspiration hit me, eventually, in the shower. (Without tea, plate glass, or winter crowds.) It was the character of Red. Red, I knew, would set the sparks flying. There are things I’d like to have covered in the book. I barely touched on racial discrimination. A bolder author would have included a black character and the terrible racism common at the time. But that might have appeared tick-box tokenism and diluted other aspects of the story. You can’t do everything. You’re painting a picture not taking a photograph, and readers aren’t daft.